Regardless of extensive research, the exact cause of psoriasis is not yet fully understood; all the same, scientists believe psoriasis is a result of several factors, which include environmental triggers, genetics, and the immune system. It is possible for psoriasis to be passed on through the family since as research shows, the probability of a genetic link for psoriasis is high. One out of every three people with psoriasis have reported having relations with psoriasis. Researchers say up to ten percent of the general population might inherit one or more genes predisposing them to psoriasis although only about two to three percent of people with the psoriasis gene end up developing the disease. Specific environmental factors may trigger psoriasis genes, causing the activation of the disease. Environmental triggers vary for every individual, and the possible causes for the development of psoriasis in an individual may have zero effects on another person. Environmental triggers include; stress, infections, such as thrush, and skin injuries. The immune system is should protect the body from intruding cells such as bacteria, but at times, the immune system mistakes healthy cells for intruders and attacks these cells. Psoriasis makes the immune system overactive creating inflammation inside the body, causing the symptoms we see on the skin. The immune system produces more than normal healthy cells and these excess cells are then pushed to the skin surface too quickly. It normally takes about a month for skin cells to cycle although the body, but it takes days in psoriasis cases. Since the body cannot rapidly shed skin cell, the excess cell builds up on the skin surface. Psoriasis patches range from major eruptions to a few spots of scaling similar to dandruff, covering large areas. Most of the psoriasis types go through cycles, starting from a flare for a few weeks and then subsiding for a while or going into complete remission. Psoriasis exists in several different types including; plaque psoriasis, nail psoriasis, scalp psoriasis, guttate psoriasis, inverse psoriasis, psoriatic arthritis, erythrodermic psoriasis, and pustular psoriasis. Consultation with your doctor before taking any form of herbal medication is necessary, especially while under any other type of medication. Some herbal remedies cause perilous interactions with other medications. 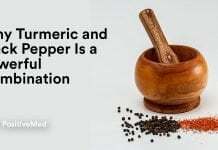 You should also avoid taking herbal remedies if you have a pre-existing medical condition such as high blood pressure or diabetes or when pregnant or breastfeeding.